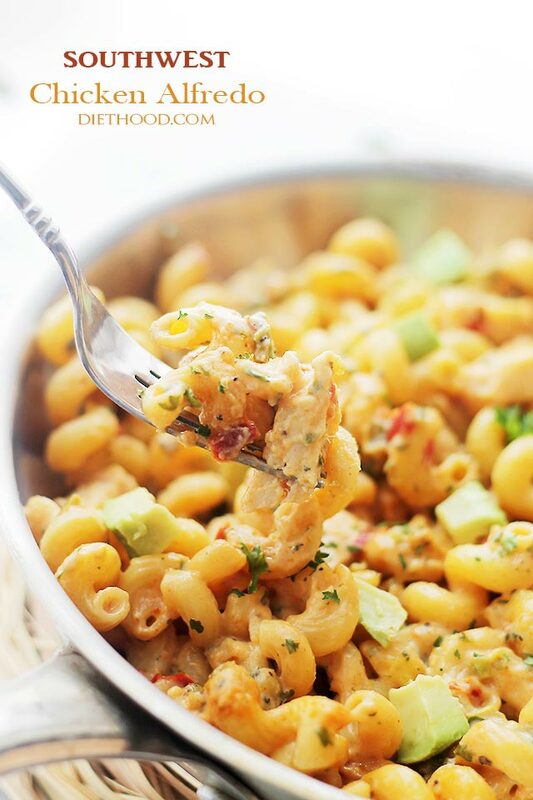 Easy Chicken Alfredo Recipes the Whole Family will Love! Home > Recipes + Food > Easy Family Dinner Ideas > Easy Chicken Alfredo Recipes the Whole Family will Love! Whether you need a super quick midweek meal, or something filling for lunch on busy days, you really can’t beat a Chicken Alfredo. 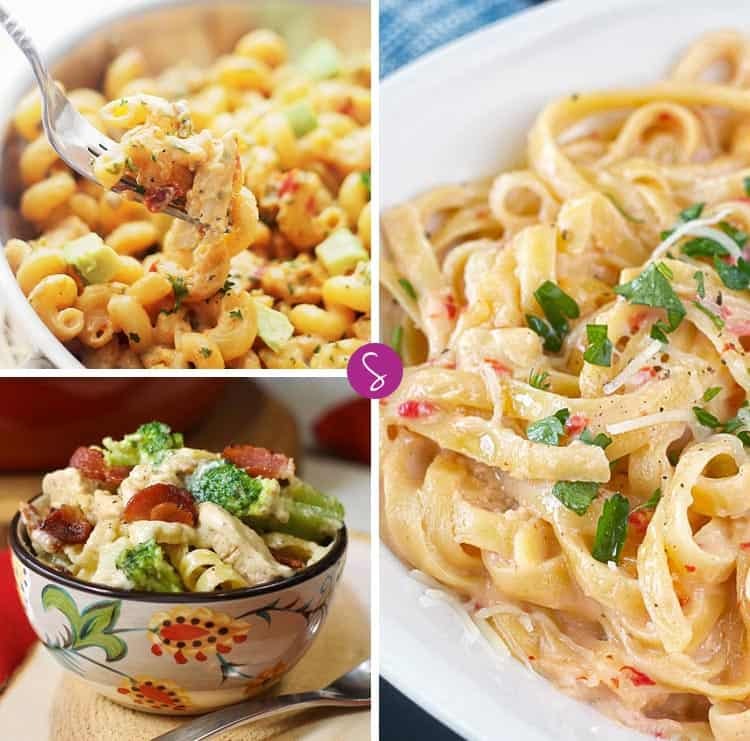 And today we’ve rounded up some of the most delicious recipes we could find to bring you this collection of Chicken Alfredo recipes the whole family will love! Related: Easy Chicken Crock-Pot Recipes the Whole Family Will Love! Easy Chicken Alfredo Recipes – The Best We Could Find! Southwest Chicken Alfredo Recipe – If your family loves hot and spicy they will love this Southwest spin on a Chicken Alfredo recipe. 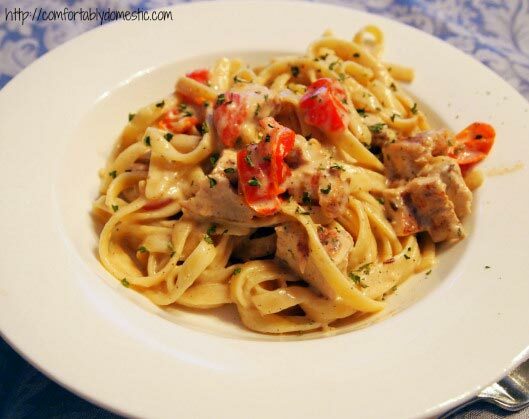 Cajun Chicken Fettuccine Alfredo Recipe – If your family loves Chicken Alfredo, and cajun tastes then check out this recipe to find out how to blend the two together. 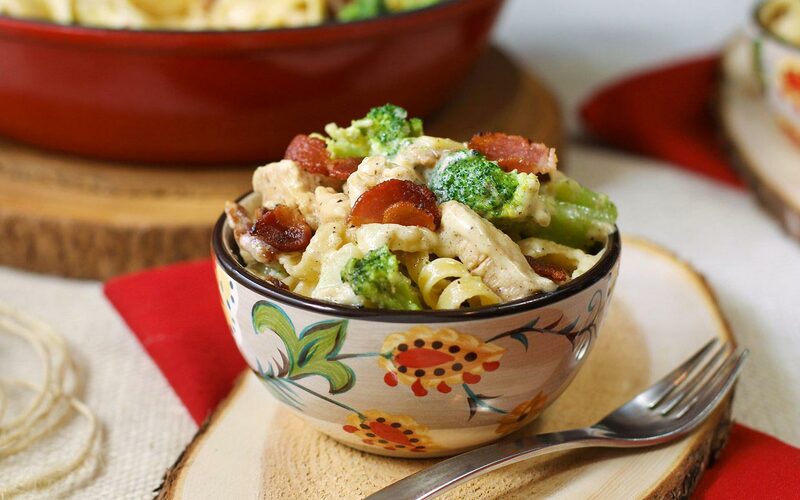 Bacon Lovers Chicken Alfredo with Fettuccine and Broccoli Recipe – Calling all bacon lovers! 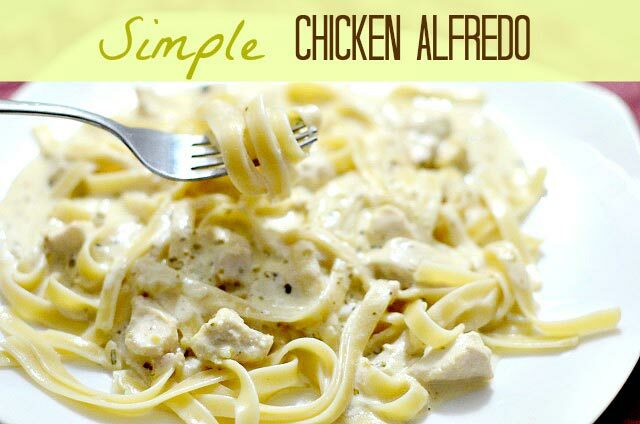 You need to check out this twist on the Chicken Alfredo recipe. 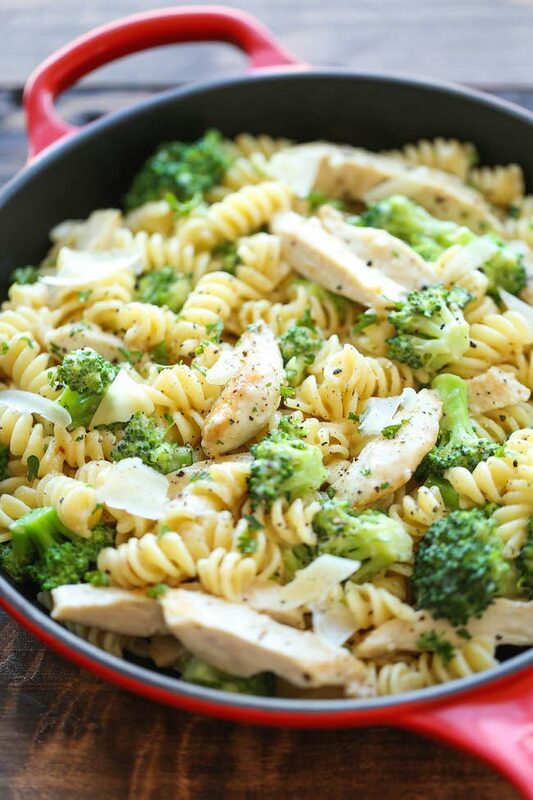 Chicken and Broccoli Alfredo – Oh my, I’m sure even the fussiest child in the house would consider eating broccoli when it looks this good! 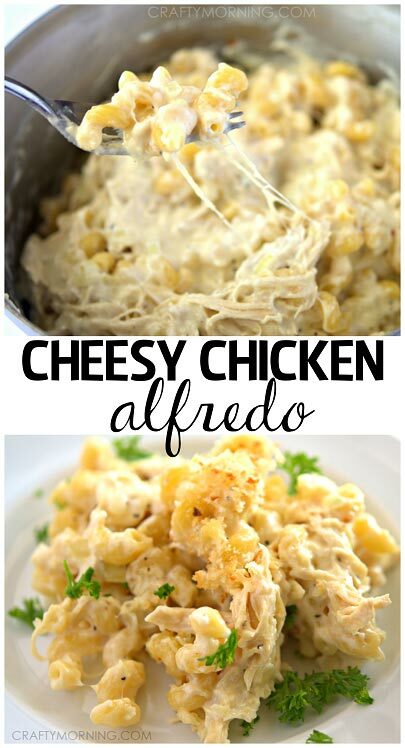 Cheesy Chicken Alfredo Recipe – Here’s another cheesy recipe that’s perfect for lunch on busy days. 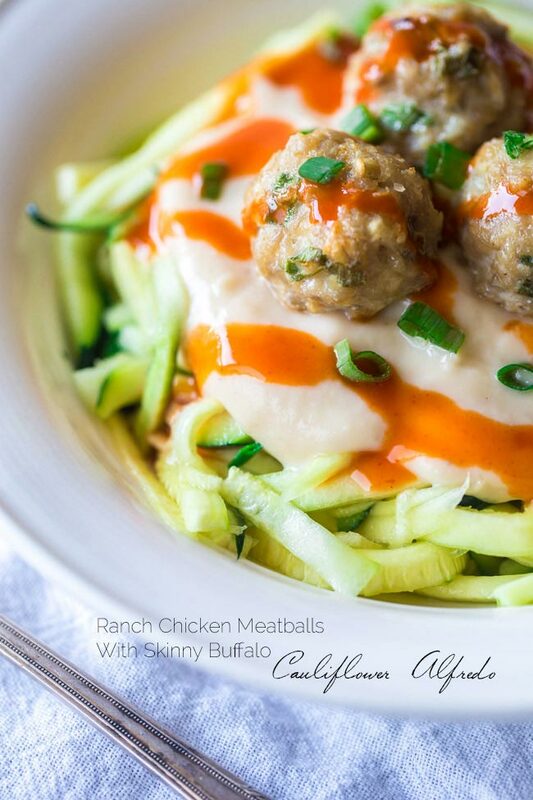 Buffalo Chicken Meatballs with Cauliflower Alfredo Sauce and Zucchini Noodles – Chicken meatballs anyone? 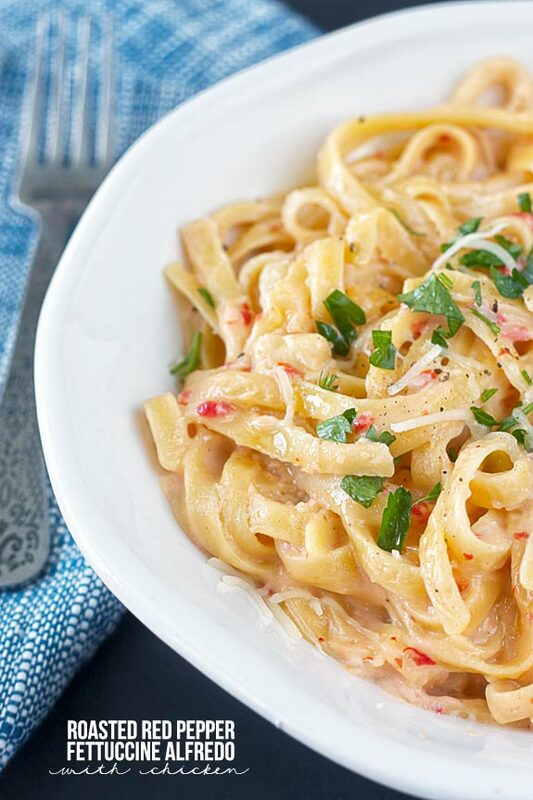 Roasted Red Pepper Fettuccine Alfredo with Chicken – Oh my this Chicken Alfredo adds red peppers and Italian cheese and looks delicious! 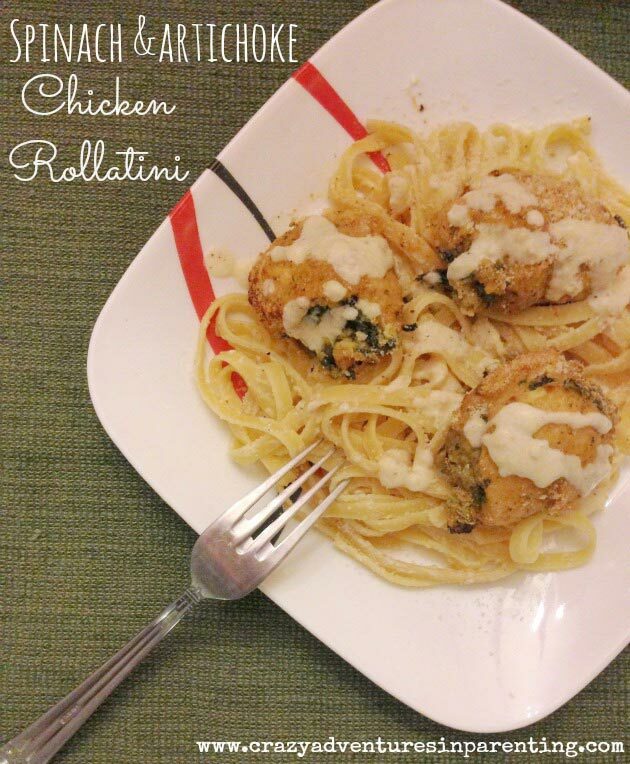 Spinach and Artichoke Dip Chicken Rollatini with Alfredo – If you love spinach and artichoke dip you need to check out this recipe, that combines your favourite dip with Chicken Alfredo! Quick and Easy Chicken Alfredo – This recipe is so simple it’s perfect for a midweek dinner for your family, but you can also dress it up with a side salad or garlic bread to make it great for company too. 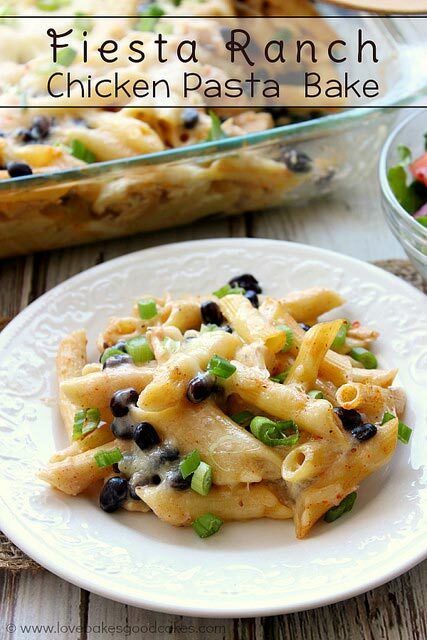 Fiesta Ranch Chicken Pasta Bake – This pasta bake looks delicious and I love the fact it includes Ranch dip too! If you loved these easy Chicken Alfredo Recipes, why not check out our collection of Baked Chicken Breast Recipes or Chicken Enchilada Recipes for more great ways to make healthy meals the whole family will enjoy together. Next PostNext Magical Harry Potter Gifts for Adults Who Love Hogwarts!